Premium Quality Five Component Protein! Milk Protein: Provides the musculature with proteins for the long time and is high in L-Glutamine. Whey Protein Concentrate: Fast absorbing protein high in BCAAs, increases the amount of free amino acids in the blood. Soy Protein Isolate: The best plant protein of maximum purity, GMO free. Whey Protein Isolate: High quality protein with the highest biological value and functional versatility. Egg Albumin: Natural hydrolyzed egg protein with high biological value. 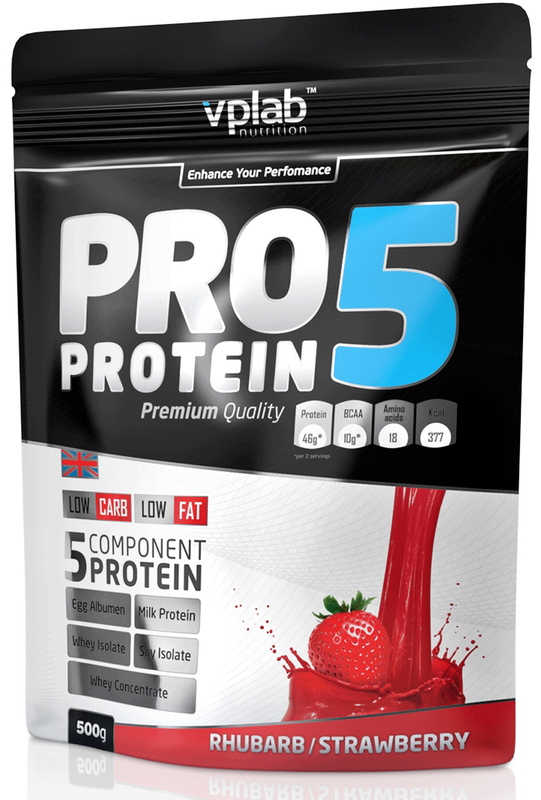 Pro 5 protein has clearly surpassed the requirement of recommended contents of amino acids. Effective combination to support your workouts! Ingredients: milk protein (30%), whey protein concentrate (27,0%), soy protein isolate (16%), whey protein isolate (contains soy lecithin) (15%), flavour, sweet whey powder, hen´s egg protein powder (1,5 %), thickening agent guar gum, magnesium carbonate, acidifier L(+)-tartaric acid, sweetener (sodium cyclamate, saccharin), salt, emulsifier soy lecithin, vegetable oil, vitamin C, vitamin E, niacin, pantothenic acid, colorant beet root (betanin), vitamin B6, vitamin B2, vitamin B1, folic acid, D-biotin, vitamin B12.